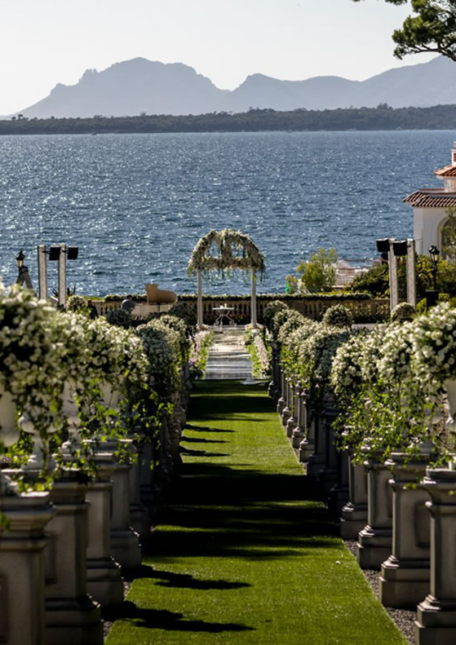 Vincenzo Dascanio sets up luxury weddings across Italy. Flowers, light and candles are part of his settings rich of elegance, luxury and uniqueness. The vibe that communicates is always personalized for its customers. Italy with its scenarios so fascinating, lends itself uniquely to luxury and extremely sophisticated events. In these years I have had the opportunity to work together with many professionals in this field. Vincenzo Dascanio is one of the most professional and exclusive collaborators with whom I have had the pleasure of collaborating several times. The weddings I have photographed, that he has set up, are real daydreams, the care and imagination that they communicate are unique and this is what his and my customers look more for: uniqueness, luxury and elegance. Flowers, light candles and exclusive and original items are always at the center of his productions but the thing I love most is the always different and personalized atmosphere that he’s able to recreate for each of his clients. The details for a luxury wedding are what makes an event different from the other and have to make people understand the character and taste of the couple. Is not always easy to be able to show with photographs a rich and well taken care setting, this is what amuses me most when I photograph these types of set-ups: the challenge of representing at best what my eyes see. I would like to make people understand the feelings that the observer has when he is faced with these luxury staging through these photos.